Save the Orangutan’s mission is to save and protect the critically endangered orangutan and its last remaining habitats and to raise national and international awareness of the severe deforestation threatening the orangutan's future existence. We raise funds from private and public sources to rescue displaced and orphaned orangutans, and to conserve the wild populations of orangutans and their last habitats on Borneo. We cooperate with local and international organisations and engage in broad stakeholder dialogue in our efforts to protect the critically endangered orangutan and ensure its future survival in the wild. We create and promote public awareness campaigns to spread knowledge about the critically endangered orangutan and the threats to its future existence. Our awareness raising efforts are targeted both at the general public, politicians, and the private sector. Our mission is holistic: On the one hand, we work to save and protect the remaining orangutans and on the other hand, we work to save and protect their home, the Bornean rainforest, and to sustainably develop and empower local communities. Moreover, Save the Orangutan focuses on the welfare of the numerous orangutans living at the rehabilitation centres on Borneo with the aim of ensuring freedom for all orangutans. We also address the root causes of the displacement and orphaning of orangutans and work to mitigate human-orangutan conflicts due to human development activities. In 2016, the International Union for Conservation of Nature, IUCN, updated their Red List and declared the Bornean orangutan critically endangered. This means the Bornean orangutan faces an extremely high risk of extinction in the wild. Consequently, we have broadened our efforts to protect the remaining wild populations of orangutans. 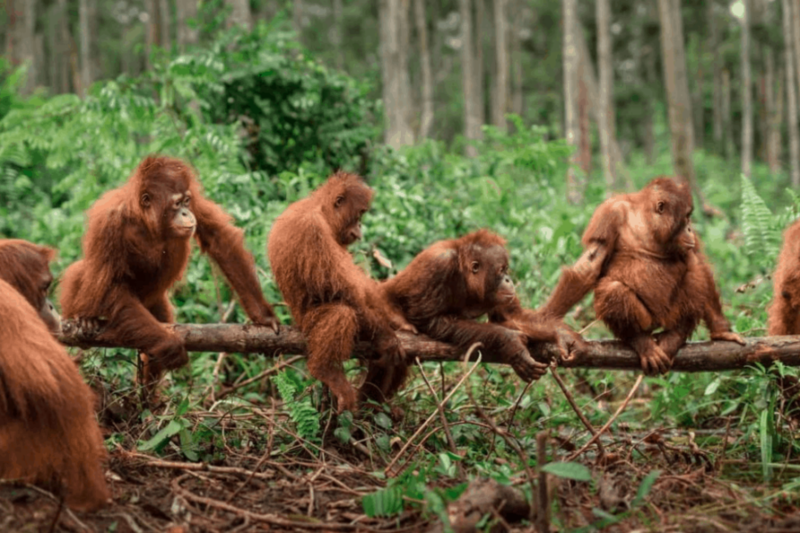 These efforts include raising funds for conservation programmes, training local fire squads in preventing and combating forest fires, restoring degraded forest areas, and involving the local communities in the conservation and protection of the orangutan as a wild species on Borneo.